A living will is something that most people hope they never need to utilize. But if the need does arise, it can prove to be extremely useful, making your wishes known while relieving your loved ones of the burden of making extremely difficult and emotional life and death decisions on your behalf. Serving West Palm Beach, the estate planning attorneys at The Law Offices of Thomas J. Lavin will assist you to write an advance healthcare directive. This process is one that must be done carefully to ensure that your wishes are conveyed in a clear, non-ambiguous manner. We can also help you with a range of other important documents, such as health care proxy forms, a last will and testament, power of attorney or a trust. At The Law Offices of Thomas J. Lavin, our team of West Palm Beach estate planning lawyers are here to help you prepare for any eventuality. We also work hard to protect your interests – something that is extremely important as you’re tending to medical documents, end-of-life documents and other aspects of the estate planning process. The attorneys at The Law Offices of Thomas J. Lavin are here to guide you through the process of making a living will. Contact our law offices today to discuss your needs in a free, no obligation consultation session. Call us at 561-557-4546. Serving clients in and around the area of West Palm Beach, lawyers with The Law Offices of Thomas J. Lavin receive lots of questions about living wills and advance directives in Florida. Many also wonder about how living wills differ from a health care proxy, a last will and testament and power of attorney form. To help address some of these common questions, our legal team has compiled some information about the living will definition, how an advance healthcare directive and trust can be used in conjunction with other documents, and how a living will form is different from a health care proxy. By definition, living wills are documents that are designed to establish your wishes and desires for medical care and treatment in the event that you are incapacitated due to serious illness, disease or injury. For instance, you may indicate whether you would wish to be sustained on life support. A living will is a form of advance directive. It may be used in conjunction with other legal and estate planning documents such as a medical power of attorney and trust. The latter can be used to handle your finances and other affairs. If an individual is terminally ill or facing a degenerative illness that may lead to incapacitation, a living trust may be strongly recommended. 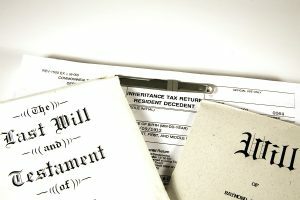 You can consult with one of the West Palm Beach estate planning lawyers at The Law Offices of Thomas J. Lavin to determine if a living will and trust is the best course of action for your unique situation. How is a Living Will Different from a Health Care Proxy? A living will form is a document that simply makes your wishes known, whereas a health care proxy gives another person or organization the authority to make medical decisions on your behalf. The living will may cover a number of contingencies, but a health care proxy may be useful if a medical decision must be made in a situation that is not clearly covered in the advance healthcare directive. A living will and health care proxy can be used in conjunction or alone. By definition, living wills go into effect when you are alive but incapacitated. This document is intended to indicate your preferences for medical care and end-of-life treatment. On the other hand, a last will and testament goes into effect at the time of your death. It indicates how you wish to have your estate divided and handled. A Florida estate planning lawyer can guide you through the process of creating both of these important documents. Where Can I Get a Living Will Form? 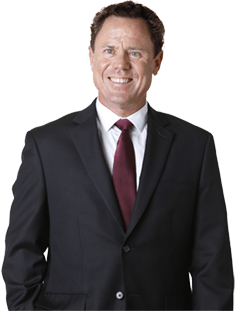 Florida residents can turn to the West Palm Beach estate planning lawyers at The Law Offices of Thomas J. Lavin for assistance preparing a living will. It is possible to use a generic living will form, but they tend to be overly simplistic. It’s typically best to have a custom version drafted and reviewed by a qualified estate planning attorney so you can ensure that your wishes are clear and precise. What is a Catholic Living Will Form? A Catholic living will form is a type of advance directive that’s created with an individual’s specific religious beliefs in mind. In addition to drafting a Catholic living will, it’s also possible to create an advance healthcare directive that accommodates any other religion or belief system. What Happens if I Don’t Have a Living Will and Health Care Proxy? If you lack a living will and health care proxy, your next of kin may be straddled with the task of making decisions on your behalf. In some cases, the courts may be pulled into the equation to make an important life-and-death decision if you lack a living will or health care proxy. If you do not have a living will and medical power of attorney, you essentially lose all control if you are incapacitated. You may be at the mercy of family members who could make decisions that are very different from what you would have wanted. Or they may not know how you would have wished to proceed. This can make for a less-than-ideal situation if you were to unexpectedly recover from the incapacitation. In short, it’s very important to get a living will so that your wishes are known. West Palm Beach residents should always turn to an attorney for assistance completing a living will form. Ambiguous documents or documents that lack clarity may actually complicate an already-difficult situation — the exact opposite of what living wills and advance directives are intended to achieve. Our estate planning attorneys at The Law Offices of Thomas J. Lavin can help you with all of your end-of-life and estate planning needs, such as Florida health care proxy forms, power of attorney forms, last will and testaments, trusts and beyond. When you work with a lawyer to prepare living wills, advance directives, and other documents, you can rest easy knowing that your interests are protected, and your wishes will be known well into the future. If you’re ready to complete a living will form, West Palm Beach residents it’s recommended to contact The Law Offices of Thomas J. Lavin. Our team of estate planning lawyers are available to go over your needs in a free, confidential consultation session. Call 561-557-4546.